Treat yourself to some arcade amusements, live music, theatre performances or perhaps some retail therapy. While at your leisure on the Island, there are a range of day-time and night-time entertainment options available for you. There's something for everyone! Fun-filled amusements don't come any better than the ones on the Isle of Wight, and you're spoilt for choice. 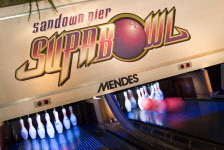 There's Sandown Pier (which includes a SuperBowl), Shanklin Seafront, These arcades and amusements provide a great nostalgic feeling for those who can remember arcades as kids, and a refreshing new treat for the younger family members. If you have kids with a little bit more energy, Isle Jump offers a safe and fun trampoline environment for kids (and big kids) who are full of beans. 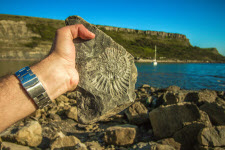 If adventuring in the great outdoors is more for you, why not try flying kites over the wide countryside, Dinosaur Fossil Hunting on the beautiful golden Sandy Beaches or perhaps foraging for wild food through the Island's woodland. There are some truly beautiful walking and cycling routes to try out around the Island. 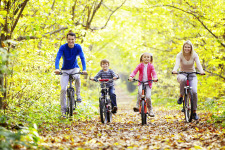 See our Cycling or Walking guides for details. If you are interested in trying something new, there's many activity providers around the Island which teach Surfing, Archery, Bushcraft, Horse Riding, Paragliding, etc. Whether vintage or high street fashion, there's a few options available for you on the Island. 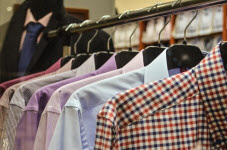 Cowes and Newport are particularly good for high street brands such as Next, Pandora, Waterstones, Trespass, Animal, TK Maxx, New Look, Peacocks, Sports Direct, Clarks, H&M, H. Samuel, Marks & Spencer, Matalan and Topshop. If vintage is your thing, there are some very quaint little shops in Godshill, Yarmouth and Arreton. For antiques and collectables, a visit to Shanklin or Chale would also be right up your street. Best for Real Ale: Island pubs are well known for their locally sourced food and drink. The pubs, which you are never to far from, offer a fine selection of local ales. There's the Taverners in Godshill, the Red Lion in Freshwater and the Pointer Inn in Sandown, to name just a few. Best for Live Music: The Wight Mouse Inn (Chale) has regular evening entertainment in the form of guitar players and vocalists. Other pubs popular for live music are the Spyglass Inn (Ventnor) and the Waterfront Inn (Shanklin). Best for Sea-Views: The Hut is a very trendy bar in Colwell Bay. Others include the Waterfront in Freshwater Bay, Fishermans Cottage in Shanklin and Three Buoys, Ryde. At Quay Arts in Newport, you can take part in many arts and crafts activities which include Pottery sculpturing, Ukulele lessons, Jewellery making courses and many more. 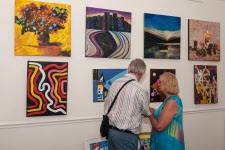 Then there's the Isle of Wight Arts Open Studios which include some of then Islands finest artwork on display in Freshwater. Or perhaps the more traditional arts and crafts is your thing, in which case you should definitely think about visiting the charming Arreton Barns Craft Village. If you like the big stage and performing arts, you're spoilt for choice for theatres on the Island. These include Apollo Theatre, Medina Theatre and Cineworld, all located in Newport. 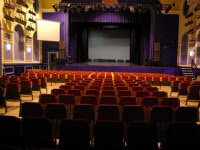 Then there's Shanklin Theatre; they all provide some fantastic shows with the intimate feel of a smaller theatre but still inkeeping with the traditional red chair experience found in the London West End.